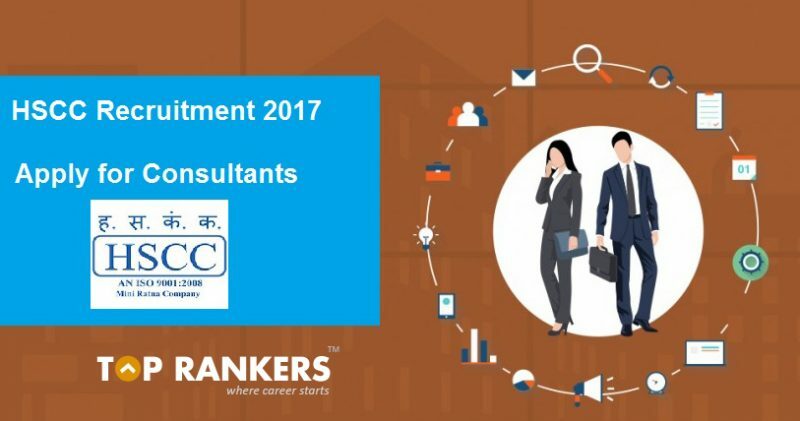 HSCC India Ltd or Hospital Services Consultancy Corporation Limited (HSCC) India Limited, Noida invites applications for the recruitment of consultants in the Fixed Tenure and Part Time. Eligible and Interested candidates may apply on or before 15th May 2017. Minimum Educational Qualification: The candidates have to pose Graduation/Diploma in relevant discipline. Way to Apply: Eligible and Interested candidates can send their application in prescribed format along with all relevant certificates, duly self attested in support of age, qualifications, experience, category etc., in an envelop should be superscribed as “The post applied for” to Chief General Manager, HSCC (I) Ltd, E-6(A), Sector-1, Noida (U.P)-201301on or before 15-05-2017.